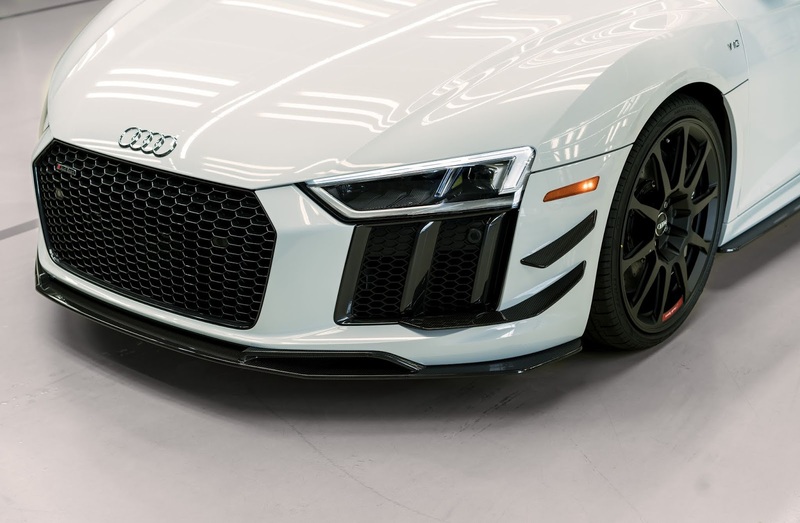 Just 10 units of the most performance-oriented production R8 model ever made and preconfigured with all the available Audi Sport performance parts will be available for grabs in the U.S. starting from next month. 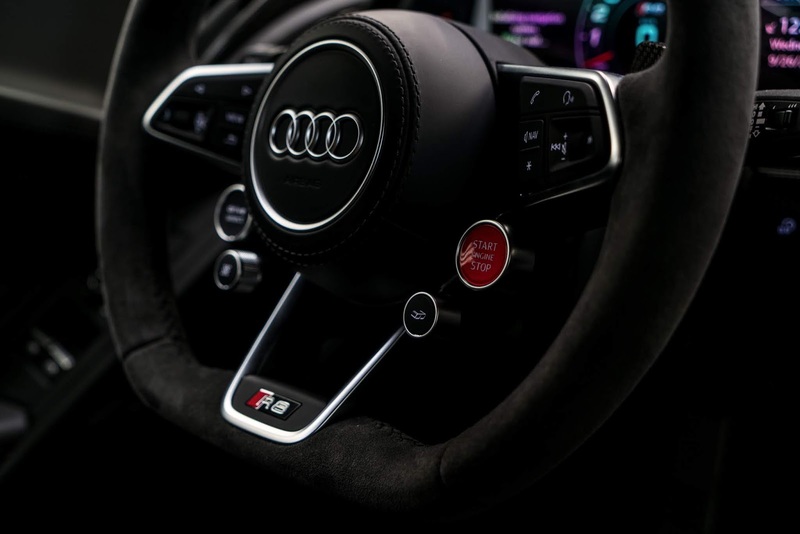 The new model dubbed the R8 V10 plus Coupe Competition package caters for reduced vehicle weight and increased downforce over previous models through the use of titanium backing plates for the carbon ceramic brake pads. 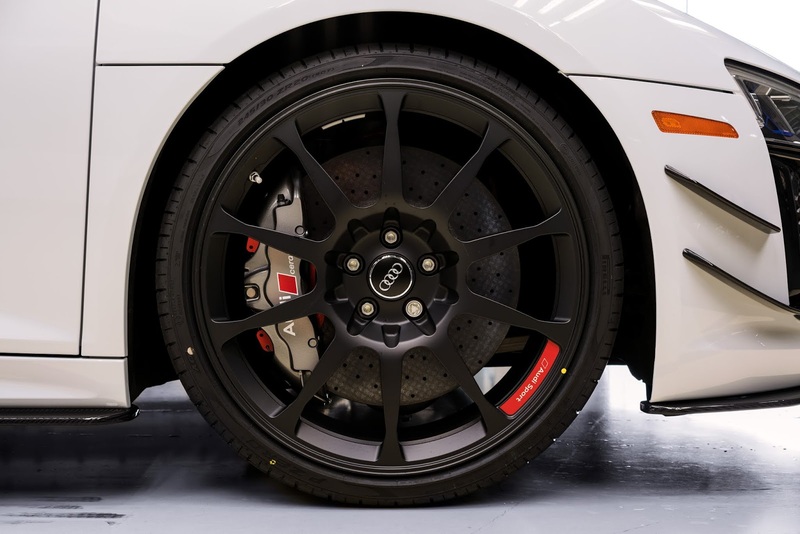 It also features 20 inch fully milled wheels similar to that of the R8 GT4 that saves another 26.4 pounds of weight and signifies another examples of motorsport technology brought to the road. 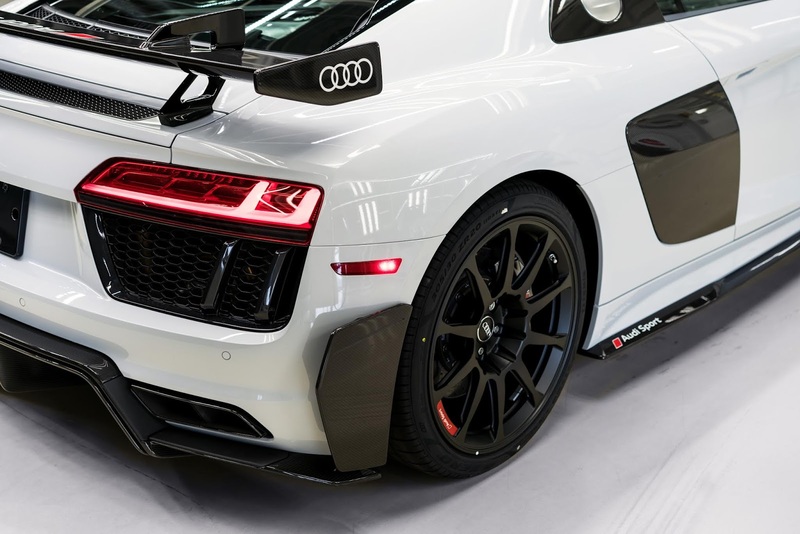 It's full carbon fiber aero kit increases its downforce at 150 km/h (93.2 mph) which counts as double compared to that of an R8 V10 plus Coupe. This downforce is also increased at by 100 kg to 250 kg at top speed of 315 kilometres per hour. The Competition package comes at an MRSP of $237, 350.